The Parks Alliance met with Stephen Williams MP, Parks’ Minister, late last year. A private summit this month will be the first action delivered following a successful first meeting with Stephen Williams MP, Parks’ Minister, late last year. 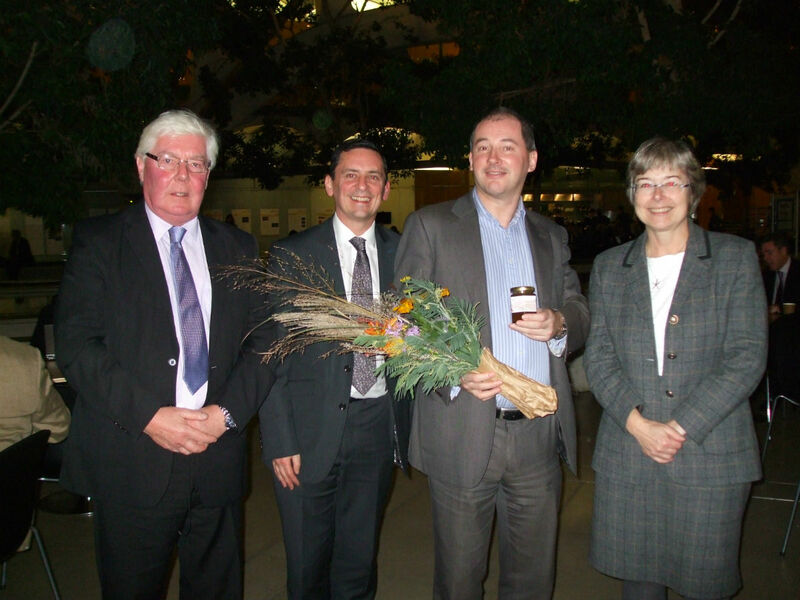 Representatives of The Parks Alliance presented Mr Williams MP, Parks’ Minister, with a posie of flowers and a jar of Queen Elizabeth Olympic Park honey, when they met him on 25 November in Parliament. In a very positive meeting, the Alliance was able to secure several commitments from the Minister. He originally agreed to his Department hosting a Green Spaces Seminar on innovation early in the new year, and to inviting other Government Departments with an interest in Parks. The seminar has been replaced with an invitation-only DCLG day-long summit next month, on February 25th. Contacts for the meeting were provided by TPA, and the Alliance has been invited to work with his officials in shaping the Agenda. The Minister raised the question of whether Parks should be a statutory service, something many members of The Parks Alliance would support. He also recognised the need for quality standards, including Green Flag. The Parks Alliance welcomed the work Government is doing identifying and mapping all UK parks, and asked that this work be extended to cover quality as well. The Parks Alliance has proposed and offered to facilitate a small pilot to develop a standard system for measuring the quality of parks, involving park users and managers. Mr Williams said it was great to see The Parks Alliance supporting local communities. “Parks and green spaces provide millions of Britons with a gateway to the great outdoors. They help breathe life into communities by providing a much needed free space for physical activity as well as a nice spot to while away a free moment,” he said.